When it comes to certified birth certificate translation services, you are probably in a hurry, right? You just got the message that you need to present that paper at an official institute and it has to be certified. Well, you have come to the right place. Universal Translation Services has already translated thousands of birth certificates and knows exactly what and how fast you need to have it. No worries as we do not have any rush rates or extra charges or higher rates when you are in a rush. In some cases ( and make sure that you got the right information) you may also need to have your translation notarized. If that is the case, no problem, we can do that too. 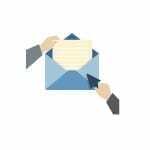 Please contact us here in live chat to ask us any question you have about the birth certificate translation to English that you need and we can give you a live quote and deadline. Let us know if you are in a rush. We will create a quote and of course you are free to accept the quote and continue with us. We would be glad to welcome you as our new client! If you need a birth certificate translation to English from any language, you’re in luck. We have specialized translators ready to work on your translation as soon as you accept our quote. If you need to have your other personal documents (marriage certificates, divorce certificates and decrees, medical records, police records, diplomas, degrees, etc) translated and certified, we can do that too. With us, you get your certified translation the next day, sometimes faster. We know you urgently need your birth certificate or any other personal document translated fast and we strive to provide you with just that! Get in touch if you need it faster than that and we’ll see what we can do for you. And no, you won’t have to pay extra rush rates, the price will be the same no matter when you need to have it done. We sport some of the lowest prices in the industry. In order to have your birth certificate translation for USCIS, you don’t have to pay an arm and a leg for that. With us, you get great translation quality, fast, and at great rates! Please note: the price is valid for pages having up to 200 words. If there are more words on the page, a price of $0.12 per word will be charged instead. Over the years, we’ve developed a rigorous system to ensure the most accurate translation possible. Our birth certificate translation process is an exacting series of steps designed to deliver cost-effective letter-perfect translations. From the moment you submit your source birth certificate, our team of talented subject matter experts assigned to your project is on the job. The way we see it, our job is much more than translating a certificate. We check and double-check every step of the process, safeguarding your message and meaning, ensuring absolute integrity of your content. We’re in the business of doing it right the first time, producing reliable, cost-effective results you can count on every time. Your birth certificate translation for USCIS can be delivered within 24 hours. 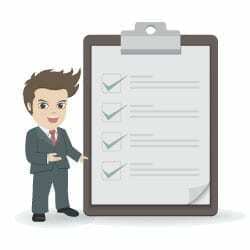 You will receive from us a stamped copy of your original document and the translation together with our certificate of accuracy which attests the accuracy of the translation and the fact that we are competent to translate into English. If you’d like to see an example of our certificate, click the image on the right for a larger one. All our translations come with guaranteed USCIS acceptance. We are well-aware of the USCIS requirements and all translations follow those requirements. We are a member of the ATA and have been accredited by the BBB, and we have 100% acceptance from USCIS for our previous translations. 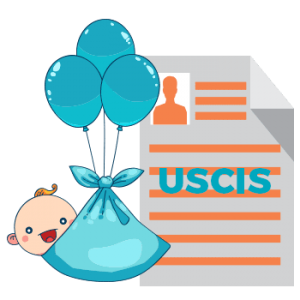 Free download our information brochure about the requirements for birth certificate translation for USCIS (in PDF format) or get in touch by email or live-chat at any time, we are available around the clock. Whether you are looking for marriage certificate translation or birth certificate translation services, you need to realize that there is so much that we can offer you that perhaps you might not be able to get anywhere else. Translation of these important documents is something that you are not supposed to take for granted. There are so many people who have in the past come to us for certified translations for USCIS and the results that we delivered for them were nothing short of amazing. The first thing that you notice about our translation of birth certificate is the professional manner in which we do our work. There are so many cases where we assist clients over and above their needs if they need to translate birth certificates and it is because of this reason that our services are highly regarded in the industry. If you are coming to the US, you will definitely need to make use of marriage certificate translation and most importantly birth certificate translation services, so that when it’s all said and done, you have your papers in order. There are lots of opportunities available for you that you can take advantage of, as long as you are able to get these translations. If you are looking for cheap certified translation services, this is a guarantee that your work will be done effectively, and you will not have to worry about a thing. Once we translate birth certificate for you, you can then go ahead and use these documents to fill in official applications without necessarily having to worry about any rejections. Our work does stand out from the others because of the extra attention that we pay to your needs, the extra care that we take to make sure that when we deliver the work for you, it is the best you will ever come across. One of the most important reasons for our success in assisting clients with translation work is because of the fact that we do understand your plight, and most importantly, we deliver our best so that you too can enjoy the best translation services at affordable rates. The birth certificate is the first document you need to have translated if you’re planning a visit in the United States. Its importance is evident, especially at a time when you are planning to settle in the US. It can be either for the purpose of education, business, marriage, immigration or any other reason. Universal Translation Services understands the needs of its customers and provides a fast way to have your translation done at a fair price. To help our customers with the best experience of all time, our offices are conveniently located in Miami and Aventura with easy access for pedestrians and vehicles. We are not only accessible but also fast to translate and affordable. Our services for translating birth certificates into English are available 24 hours a day, 7 days a week. Our customers are encouraged to give details about their order and the expected time when they need it back and we do our best to deliver on time. We don’t charge an arm and a leg for our services; actually we have the lowest prices for birth certificate translation services in the US. At UTS, the translations you are looking for are being done by the best translators from all around the world. Our experts are not only from America but other nations too. So, if anyone from Europe or China, or any other country needs to have a translation in English, it will be efficiently done by our experts. Our expert translators are able to provide accurate translations which are done according to USCIS rules and regulations and all our translations are guaranteed to be accepted by the USCIS. An official birth certificate template doesn't exist actually, because we have to replicate the format of the original document and make sure that the translation looks identical to the original document. We have professional translators ready who can translate your birth certificate from Spanish to English without any problems. Get in touch with one of our representatives in order to get a quote now! If you are looking for official translation of birth certificate, our certified translation is exactly that. There aren't any regulations for official translation and USCIS accepts our translations anytime. Certified translation services for birth certificates are important when you are getting your translation for the USCIS. We are here to provide you ATA certified translation that will hold itself in any office. Is a birth certificate notarized translation hard to get? We are here to give you the translation that you need, at the lowest price you can find. Our translations are guaranteed to be accepted by any institution in the US. Universal Translation Services provides professional translation from 120+ languages. We can give you an English translation of birth certificate in 24 hours or less, and it will only cost you $20 per page! 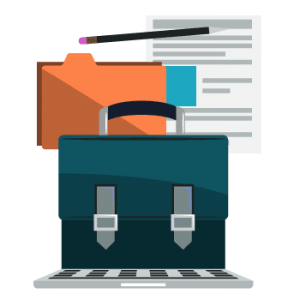 We have a professional team of designers who will format the translation identically to your original content, and the translation will be cleared by the USCIS quickly and without any problems or hassle. No Extra Rush Rates, Ever! Are you looking to rush translate your documents for USCIS? We can help you anytime, in a rush, and don't have any extra rates for rushed projects or for projects needed to be done over the weekend! 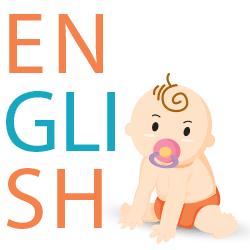 Need to translate birth certificate to English? At UTS, we have expert translators,completely aware of the requirements who provide certified translation with guaranteed USCIS acceptance at low rates.. There are numerous situations when you need notarized translation of birth certificate and if you come to us, our in-house notary public will notarize the translation according to US laws and at a low price! We are providing USCIS birth certificate translation since 2001 and we are well aware of their requirements. If you need a translation with guaranteed USCIS acceptance at the lowest rates get in touch now. Do you need to translate your personal documents and was wondering what is the approved birth certificate translation format? Stop worrying about it and come to us to get your guaranteed translation for cheap! Worried about the certificate of translation USCIS? You don't have to. We will provide you with a translation that is guaranteed to be accepted by any USCIS office, anywhere in the United States! Most of us are always in a hurry and a quick translation is always needed to be notarized. That is why we have our own, in-house notary public, so we could translate and notarize birth certificate inhouse! A birth certificate is much more than just a certificate providing the details of your birth. As you know, it is always used as a legal document to prove identity and get other documents. Birth certificate translation to English is extremely valuable, especially if you are traveling abroad. Problems arise when you have a birth certificate, but it’s in a language which the processing authorities cannot understand. For instance, you have a birth certificate issued in another country and need an English translation. Universal Translation Services has got you covered. With over 120+ working languages, we can give you the best-quality birth certificate translation to English. 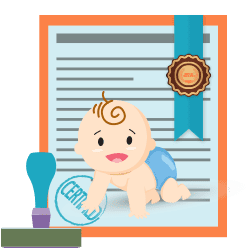 Get your birth certificate translated from languages like Spanish, French, Japanese, Tamil, Creole, Chinese, Arabic, Thai, or any other language into English at one fixed price and get the translation certified at no extra cost! We’ve translated thousands of documents, including birth certificates and we guarantee acceptance by U.S. authorities. Some of the clients asked us if we have a sample of a birth certificate translation to show them. If you need to see one, click the image for a larger one. Please note, not all birth certificates are looking alike as each country comes with its own format. When we translate a birth certificate, we first transform the original image you have sent to us into an editable file. Then we extract the text and translate it. When that is done, a draft of the translation is sent to you in order to review the names and dates. Once we get your approval, we add the translation into the original template, then certify the translation. What you get is a birth certificate translation to English which looks like the original, along with our certificate of accuracy, which states that the translation is a true representation of the original. We follow the strict regulations imposed by the USCIS therefore all our translations have been accepted by them, or any other institution in the US. 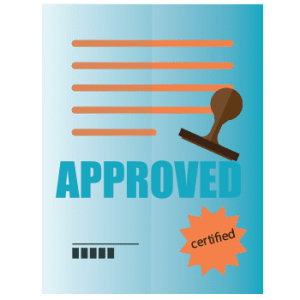 Even more, all our certified translations come with guaranteed acceptance, so you will not have any issues with them being accepted. 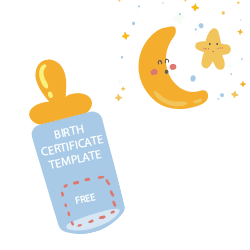 Where to get a free birth certificate translation template? In the end, the translation looks exactly like the original, keeping the same format. 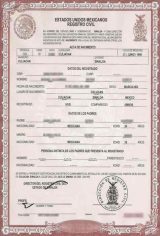 If you however need a free birth certificate translation template from Spanish to English for example, you can use this document. It contains all needed details, however, we do not guarantee the translation will be accepted. On another note, USCIS does not allow the applicant to do the translations on his own, so make sure you aren’t the one signing the certificate of accuracy. Birth certificate translation from English to Spanish needs to be translated with absolute accuracy. 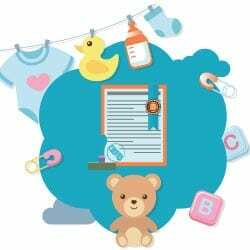 The translated Spanish birth certificate has to include all key details, like stamps, local authorities’ certifications, signatures, marginal annotations, stamps and seals, amendments, additions, written statements, etc. Every aspect of the document is of vital importance since the smallest inaccuracy can lead to rejection, loss of time, additional expenses, with possibly dramatic consequences for the applicant. It is necessary that the birth certificate translation for immigration is accurate and do not contain any errors. It is because wrong translation may lead to the rejection of your citizenship and immigration in your document. There are various birth certificates translation services available for immigration. It is necessary that the certificate and translation must be in English. It is also essential that the translation contains the certification from the translator that indicates that the translation is complete and accurate. 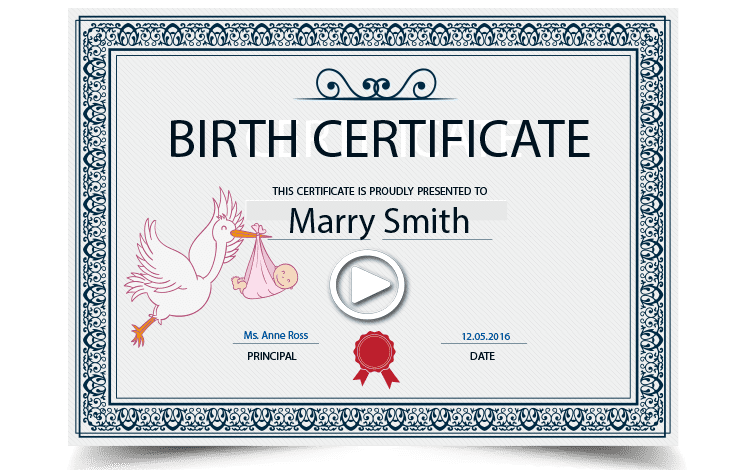 The birth certificate is a necessary document that contains the person’s name, birth date, place of birth, gender, parentage, and other such information. 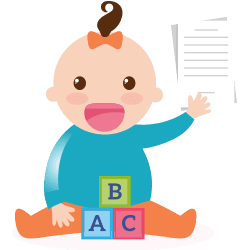 If you are planning to get birth certificate translation services into French, it is necessary that you get it done from a professional and native translator that is known to provide error-free service. At UTS, we have a team of experienced French language experts who work into their mother language and who have both the linguistic and area expertise you need for success. 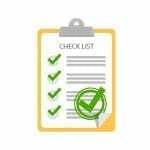 If you want to travel to various countries and you are applying for a passport application, you need to submit your birth certificate as part of a passport application in English. But if your birth certificate is in your native language and you have to apply for the passport there, in such a case you need to get birth certificate translation for passport application (which is always a certified translation) along with an attested copy of the birth certificate issued by the authority where your birth has been registered. When you file for I-485, you always have to submit copies of personal documents, like birth or marriage certificates. But what if your birth certificate is not in English? You need to get birth certificate translation service for I-485 because USCIS translation conditions state that all documents must be in English. Any accompanying documents must also be in English. If any critical documents are not in English, USCIS requires that a certified translation should be submitted along with a copy of the original document. 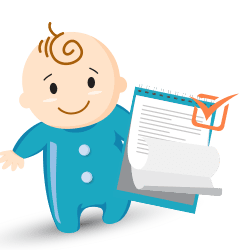 If you need a quick and accurate birth certificate translation from Tamil to English, you can count on us to give you just that, in 24 hours or less and at a great price. Our professional team of Tamil translators is highly experienced in translating birth certificates from Tamil into English and almost every language of the world and vice versa. 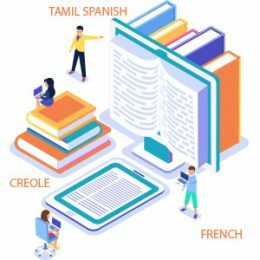 Our expert Tamil translators will help you at every step and make sure that the birth certificate translation from Tamil to English is perfect and has been done according to requirements. USCIS is a reputable agency gaining a charge over the translation agencies and comprising of a strict protocol system according to which the translation agencies work. These regulations are present to ensure that the submission of the respective translation can follow through with ease. We can translate any birth certificate for USCIS because we are aware of the requirements of the immigration offices and the standards of the USCIS offices which are necessary for the submission of translations in America. Birth certificate translation is inevitable for immigration purposes but that's not the only worry at hand when you are planning to make a move. For such a huge, life changing decision, you certainly don't want any lose ends. We can help by providing with fast translation services for immigration including birth certificate translation at affordable rates is a company you all have trusted for years. Now you can run your errands care freely because from translation to certification, we'll ensure a smooth immigration process for you. If you need to translate birth certificate USCIS according to the protocols and regulations set out by the respective agency, then you should reach out to us. We are accredited with the ATA and ISO to be able to provide excellent translating services in the industry followed with professional advice regarding documents and institutions where the submission is due. You can reach out to us on our website or via email, and we will get back to you in seconds no matter what time of day or night it is. You can easily acquire a certificate of translation USCIS with our assistance because we are aware of the requirements of a decent translation and certification. We can get you accurate translations that will make your immigration process easier and simple. These certificates need to be precise and done according to requirements in order to be submitted and accepted with ease; we assure you that all translations done by us are guaranteed to be accepted at any immigration office in the US. USCIS translations have certain requirements that should be met before submission or you'll face rejection. These rules have been implemented for years and have to be followed. To save you for trouble, we have gained command over the USCIS birth certificate translation requirements such that your immigration process can be followed through with ease. Legal things are not easy to handle and USCIS submission is already a stressing-enough experience to make it worse with bad translations. Immigration is a stressful experience. So, whatever can be done to tone down the anxiety of the process should be taken seriously. Birth certificates are fragile documents that are composed of private and sensitive information, needed to be handled with care. We will translate birth certificate for immigration and keep it safe from being used for wrong purposes. We can translate any documents from any language into English, we guarantee USCIS acceptance and we have the lowest rates in the US. Notarization is a kind of certification that is expensive with its demands in the industry. But we have the best deals for any kind of document that you will request to be converted. We can get your birth certificate translated and notarized within a day and get it delivered back to you within the requested deadline. If you require it in a hurry, you will not even have to pay extra rush rates or hidden charges - with us the translation will cost the same price no matter how urgent it may be. 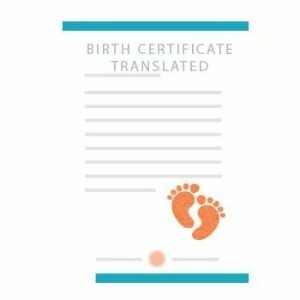 What is a birth certificate translation? 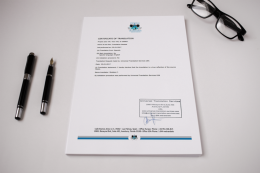 A birth certificate translation is usually a certified translation where the translation is accompanied by a so-called certificate of accuracy, which declares that the translation is accurate and a true representation of the original, and the translator is fluent in both languages, thus qualified to translate the document. 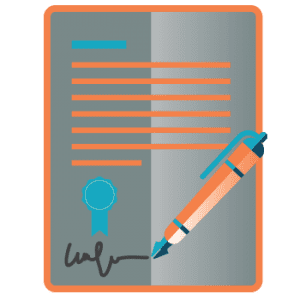 The certificate of accuracy is being signed by the translator or by the translation agency, and has all needed contact details. The translation needs to look exactly like the original, only translated. Where can I get certified translation of birth certificate? If you’re dealing with USCIS you will need to get certified translation of all your personal documents. 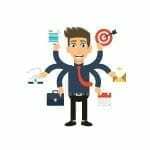 While in theory you could get that from just about any freelancer, we strongly advice to get your translation from a well-known translation agency in the US which deals with such things on a daily basis and are aware of the requirements. We are able to help you with that at some of the lowest rates, and we provide you with the guarantee that the translation will be accepted by the USCIS. Any professional translator can provide you with the translation of your birth certificate. However if you need to have a certified translation you need to use the services of a certified translator or a translation agency specialized in certified translations. They are aware of all the requirements so the translation won’t be rejected and your certified translation is guaranteed to be accepted by USCIS. How do you translate a birth certificate? We hire professional translators who translate your birth certificate from the original language into English. We can translate from over 120 languages into English and we will be happy to help you. The birth certificate template is basically the template of the original document. We extract the text, translate it, and add it back into the original template, so the translation will look exactly like the original. 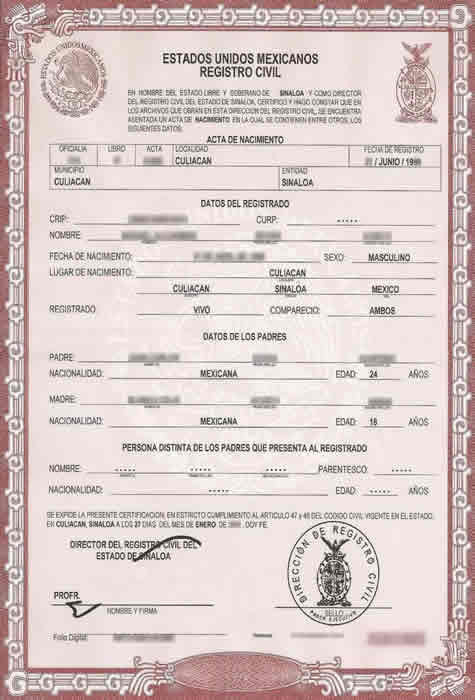 We receive daily pdf files or images of birth certificates that need to be translated. Most of the questions we get are if we can keep the same format. We invest a lot of time in the format of the original document converting it to an editable format. As you may know, scanned files and images cannot be edited by our translators. We convert the files with special software that creates a format the translator can work with. To have an idea how this works, see our video. Can you keep the same format? Yes, we can keep the format of the original document. In fact, the translation will be sent to you in the identical format of the original document as a rule. We will preserve the format for you. The cost to have a certified translation of a birth certificate for USCIS or any other institution in the US is $20 per page if under 200 words. We have the lowest rates in the United States and deliver within 24 hours! What languages do you do? We have the resources to translate from over 120 languages. We have many local and regional languages on the roster as well, and we would be surprised if we do not have a linguist ready to translate for you. Do you translate Mexican birth certificates? We provide Mexican birth certificate translations with professional translators who conduct these translations perfectly and up to the mark. We are here to help you with any personal document you may have. Can I translate my birth certificate on my own? USCIS prohibits the applicant from translating his personal documents on his own. Even if you know both languages very well and the translation is accurate, if you sign the certificate of accuracy on your own, you’ll still have to deal with rejection. Other than the applicant, anyone else can translate and certify a translation but there is a risk you could get a RFE if the translation or the certificate of accuracy is not done according to requirements. Do you translate marriage certificates or marriage licenses? Marriage certificates are needed to be presented in English for example for USCIS. It is a general rule for any vital document or personal document. We translate marriage certificates from over 120 languages into English. We convert your photocopy into an editable format to keep the layout if possible and translate into English. Can the translation be notarized? We have our online notary available to notarize your translation. 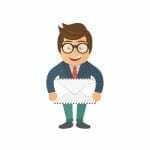 We charge you for the notarization service $20 per document. 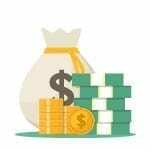 To have a birth certificate translated and notarized it will cost you $20 per page for certified translation, and another $20 per document for notarization. If you have questions, please contact us. While USCIS no longer requires notarization of your translation, in some cases they might request a notarized translation. If they do, get in touch and we will translate and notarize the translation for you. 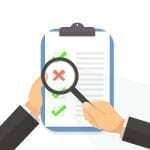 Can a notary public translate a birth certificate? A notary public is a government agent that only verifies a person’s identity. Though, in some cases, a notary public can translate a document if he/she understands the language, but cannot notarize signatures on the documents that he/she translates. The document must be taken to another notary public to notarize. This depends on the country involved, though, because different countries have a different meaning to what a notary public can do. The mean cost of translating a birth certificate from any source language to English, varies from $60 to $70. In case the birth certificate has other documents attached, then they are calculated separately from $25 – $45 per page. Universal Translation Services provides certified birth certificate translations at $20 per page, the lowest price in the industry. If you are immigrating to the US and your personal documents are in any other language than English, you will need to have them translated and certified, and that also includes your birth certificate. Also, if you plan to study in the US as a foreigner, you will need to translate your birth certificate along with your other personal documents as the university will require it, and you’ll also need it for your visa. While just about anyone but you can translate such documents, there are certain requirements that need to be kept in mind. Your friend or a freelancer may not be aware of that and this is why we strongly advice to get your translation with us. While in theory just about anyone could translate a birth certificate and certify the translation, you will have a hard time of getting it notarized. A freelancer won’t want to join you in front of a notary public for that, and without the translator you won’t get the notarization. It is therefore better if you take our services where you can have your birth certificate translated and notarized in 24 hours at the lowest price around, and the translation is guaranteed to be accepted by any state institution. Can I see a birth certificate translation template? Below you can download an example of a birth certificate translation form. Please note that you cannot just use a pdf form from the internet and translate your birth certificate yourself. USCIS doesn’t allow applicants to translate their own documents so you’ll need to have someone else do it for you. Also, you need to present a translation of the original birth certificate of your country. Since each country has another format of the birth certificate, yours can be different from the one below. Download for free a birth certificate translation template. Still searching Google on how to translate a birth certificate? Let us tell you that it’s really not worth it if you want to translate birth certificate for USCIS. Universal Translation services provide birth certificate translation services for clients who are opting for immigration services, planning to study abroad or choosing to apply immigration for their spouse or child. And even when you are in a situation where you have an urgency or you got stuck somewhere and now you don’t have time for USCIS birth certificate translation so you are looking to translate it by yourself, we assure you that we have got you covered. Yes, that’s right. 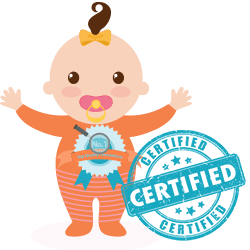 It is our deepest concern to educate you on the importance of a birth certificate translation and when we are available with our years of experience in the industry, you never have to search for any other translation services ever. Hundreds of clients already got translated birth certificates from us and all of them have been accepted by the immigration office. We know our work, we are aware of the requirements and we guarantee acceptance. Is it hard to translate a birth certificate? Yes and no. It really depends on the quality of the image you send to us. No, you don’t have to come to our office if you can’t, all you have to do is to take a picture of your document and send it to us. We’ll do the rest. When can I have it done? If you get in touch with us now and send us your document then accept our quote, you will have your translation of birth certificate in 24 hours. Let us know if you’re in a hurry and we’ll do our best to deliver even faster. How To Get Birth Certificate Translated? Getting ready for immigration? Then getting your birth certificate translated is definitely on top of the list. There are two ways to get your birth certificate translation. Either through a private translator or through a translation company. Finding a good translator online is comparatively harder, freelancers usually work with their own schedule. A translation company, however, is easier to find and has professional Translators. They have an instant mean of communication and providing quotes, therefore, the best way to get your birth certificate translated is through a reliable Translation services company. Just like Universal Translation Services, get in touch with us and get birth certificate Translations without any trouble. 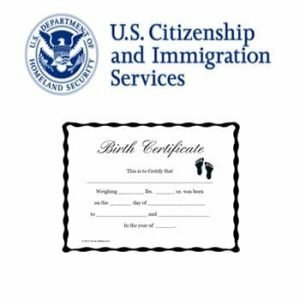 How To Get USCIS Translation Of Birth Certificate? Excited to go to the US? Looking forward to your new life in America? Then she should get ready for the formalities of USCIS. First thing's first, check out the list of the documents that are asked to be submitted. If the said documents are in any other language than English, you’ll need to get them translated. And as per USCIS regulations, a certified translation is mandatory. To begin with, you’ll be asked to submit your birth certificate as it is the prime proof of your identity in your native land. To get USCIS Translation of birth certificate, you’ll have find to find a translation company that offers immigration Translation and has a 100% acceptance rate at the USCIS. Once you find them, get a quote and start immediately. Universal Translation Services has been providing excellent USCIS Translations for decades and with our expertise, your birth certificate will be translated within just 24 hours. If you live in a country where English speakers are rare and translators are even scarce, a translation company could become a life saver. But then again, you can never be sure about their authenticity and experience. Thankfully, this era of internet offers you everything, including translation of your birth certificate into English. Now you don’t have to worry about spending long hours in finding a translator in your college or in your neighbourhood. All you have to do is go to the website of an internationally recognized translation company. Contact them through live chat or email and send over the details of your project. You’ll get the quote and the time of delivery as well. Translation of birth certificate is required in many instances. The importance of this document is evident from the fact that no immigration process can be validated without its submission. Translation of birth certificate is required when your native language is different from the country where you are immigrating to. For instance, if you are traveling to the US, and you belong to a country where English is not a native language, you’ll have to submit a certified translation of your birth certificate into English. Birth certificate translations, regardless of where, when and why they are required, will be carried out by experienced professionals at Universal Translation Services. So if you need birth certificate translation, Universal Translation Services is the place to go. In today’s digital world, we are almost addicted to searching things on the internet. And it is indeed very helpful. So here we are, giving you the answer to your query on how to get a birth certificate translated to English. If you are in a situation where time is limited, search for a company that offers birth certificate translation within a day. If you are tight on budget, search for a company which offers rate per word or per page and go with a company that offers the most affordable price. If you are looking to compare prices, list down the prices of different companies by getting instant quotes. Pro Tip: Never compromise on quality, as quality is the most crucial element in Translation. If a friend of yours is proficient in English language and you think that they can translate your birth certificate into English, then you are not thinking right. Depending on the purpose of the birth certificate translation, there will be certain rules that you would have to follow. Only Translation companies who have been translating birth certificates are aware of the requirements. For instance, birth certificate Translation for Immigration must be certified before submission. For a university admission, you’ll also need a certified birth certificate Translation. Thus, you must never mess up your birth certificate translation at any cost. You can get your birth certificate Translation from Universal Translation Services with quality assurance and affordability. 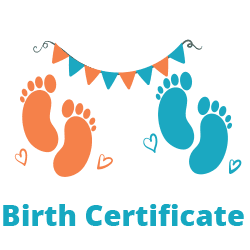 If you’re looking for certified birth certificate translation services for USCIS and don’t want to spend too much for it get in touch. We charge affordable rates, we deliver in 24 hours and we guarantee acceptance. We are also working around the clock and can give you a free quote in under 5 minutes.